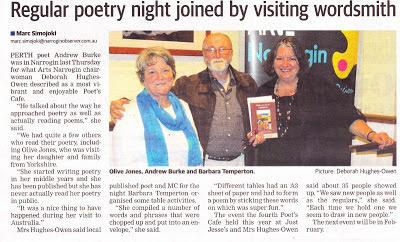 "MELBOURNE is an ''epicentre in world poetry''. It has long been a dynamic focus for Australian poetry publishing, and it's a major plus that there are publishers with substantially differing attitudes to the practice. The tensions, crossovers, departures and even conflicts of the various ''scenes'' (reductive word) are generative, and intensify a debate about why poetry is written, why it matters and what it might achieve. Melbourne poetry can be parochial and internationalist at once. This seems like an oxymoron, but it's not. A poetry that relates to the place of its creation, but looks outwards, allows itself to be read energetically under many conditions and circumstances. The innovative wordplays and cultural digressiveness of Michael Farrell have opened up many lines of communication with poets in America and Britain. His work owes much to a sense of community with other Melburnian innovative poets, and their desire to speak outwards as well as inwards. It's been a fair while since I visited the city, but the first thing I did this time was visit Kris Hemensley's remarkable and essential Collected Works in Swanston Street. 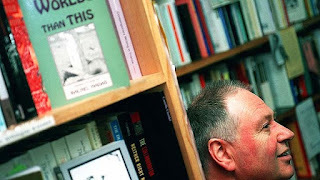 The shop is a conduit for world poetry, not only in its breadth and vision, and not only in its ongoing support of poetry readings and book launches, but in the continuing conversation Hemensley has with his patrons (and those who just drop by for a chat). 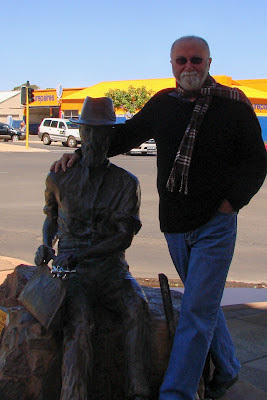 ■John Kinsella won the 2012 [Victorian] Premier's prize for Armour. 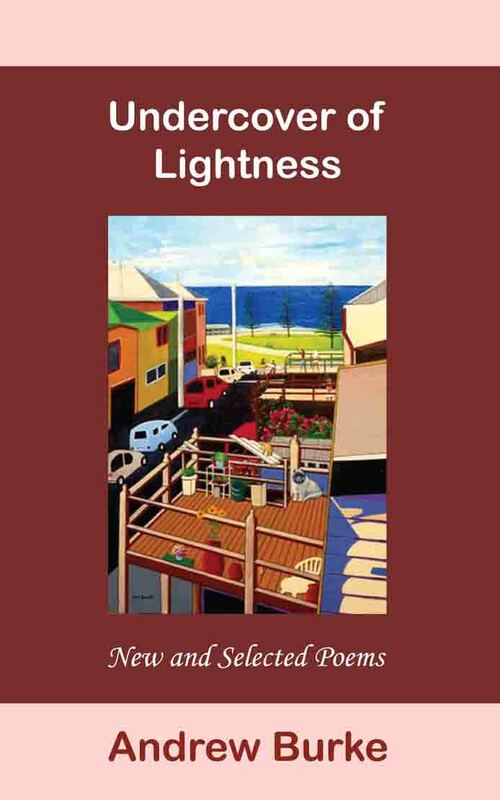 'Undercover of Lightness' is now available at Crow Books, Planet Books, and Oxford Street Books - and from the publisher direct, of course: Walleah Press http://walleahpress.com.au/garradunga/?tcp_product=undercover-of-lightness-new-and-selected-poems-by-andrew-burke . On the first Sunday of every month Perth Poemambulists will lead anyone who is interested on a two-hour walk to explore the physical environment of Perth, as a poetic, a poem, a poesy, a subject of thought: lyric and catastrophic, in its colours and textures, its histories and geographies, its waters and its drylands, its gladnesses and its failures. There will be a different agenda each month, but each month’s agenda is open to whatever disruption occurs, depending entirely on who turns up. Bring whatever creative materials you want to work with: pen, paper, paint, cameras, vocal cords, musical instruments, whatever. Wear comfortable shoes. On Sunday 4th November we will take a short walk concentrating on colour, form and texture. Future walks will focus on art and architecture, history and murder, water and sand, and anything else that comes up. 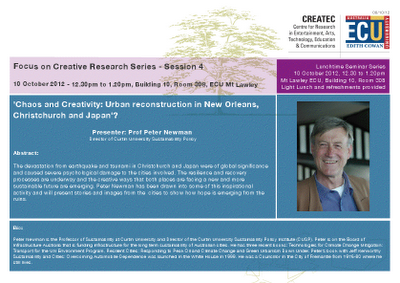 to anyone you think may be interested. Changing times for Daily Issa - a daily delight! Due to technical difficulties, we are moving Daily Issa to a Yahoo group titled, appropriately, "DailyIssa." 2. You should receive an automatic message from Yahoo that asks you to click a link to become a member of the group. Click that link and you'll see a page that has the button, "Join the Group." Click it. Note: If you don't receive this message right away, check your Spam folder. 3. Set your preferences for how you want to receive your daily haiku. 4. At the bottom of that page, type the security code provided and click "Join." Check your in-box in the next 24 hours. If a haiku from the Yahoo DailyIssa group is not there, look for it in your Spam folder (this is what I had to do when I tested the system). Mark the Issa haiku as not Spam. If there is no message, don't hesitate to contact me. Once you are receiving the haiku from Yahoo, you can unsubscribe from the old system by going to http://cat.xula.edu/issa/ ...or just wait. We will be shutting it down in a few weeks. The old system will be shut down as soon as I've had a chance to send this message to all current subscribers, so if you want to continue receiving Issa's daily one-breath poems, join the Yahoo group right away! Note: This group is set up only as a convenient way to deliver the daily haiku. It's not a discussion group. Your in-box will not be flooded with comments by 3,000+ group members, since I have set it up so that only I can send messages, and I will only send one haiku a day. 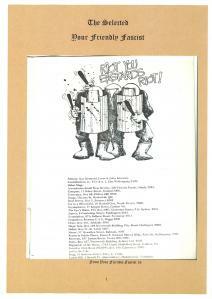 Posted on October 15, 2012 by Mark Roberts Rochford Street Press is proud and slightly surprised to announce the double launch of: P76 Issue 6 (The Lost Issue) – Chris Mansell to launch - & THE SELECTED YOUR FRIENDLY FASCIST edited by Rae Desmond Jones. "Please retain the deckles," or, something like that, said to have been said by William Morris to a binder who, in turn, chopped off the deckles and kept them nicely in a separate packet to return to Mr Morris - so, if what's good enough for him is good enough for me, here are the deckles ! - actually, I cut them off because, in the next book I'm printing, most of the material on the rectos is the same, and if I kept the outer deckle on the sheet I'd have to reset the form on the press each time I wanted to print on the other side of the sheet - but with straight edges on both sides of the sheets, I can simply flop the sheet over to print on the other side. 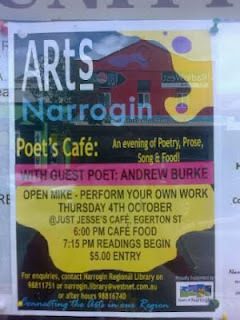 . .
Narrogin Arts is such an active outfit! $100 Martin Downey Urban Realist Award. Plus Book Vouchers for Highly Commended & Books for Commended. 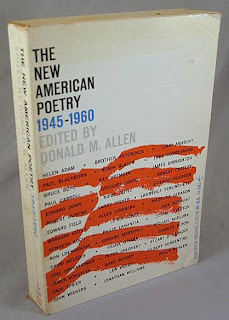 The New American Poetry 1945-1960 anthology edited by Donald M. Allen was a bible for me when it first appeared. I still tap into its statements of poetics at the back often ... and have bought many books by the poets within its pages. Certainly I have not been alone - it is a very influential collection. But ... have you ever thought who could have been left out? Amazing. Someone has done the research for us - you can find the list here: http://mimeomimeo.blogspot.com.au/2012/09/we-are-sorry-to-inform-you.html Interesting reading. Calling all nature writers! The Nature Conservancy is happy to open the second biennial Australia Nature Writing Prize. The $5,000 biennial award is for an essay between 3,000 and 5,000 words in the genre of "Writing of Place." The prize will go to an Australian writer whose entry is judged to be of the highest literary merit and which best explores his or her relationship and interaction with some aspect of the Australian landscape. The competition's judges are Geordie Williamson—literary critic with The Australian—and Dr Janine Burke, distinguished biographer, art historian and author of The Nest. The Nature Conservancy Australia Nature Writing Prize was created to promote and celebrate the art of nature writing in Australia as well as to encourage a greater appreciation of Australia’s magnificent landscapes. The prize has been made possible thanks to the generous support of The McLean Foundation, which is committed to promoting and celebrating the literature of nature in Australia. Dr Michael Looker, Director of The Nature Conservancy’s Australia Division, said today that he looked forward to building on the success of the first nature writing prize, which attracted over 130 writers. The inaugural prize was won by Annamaria Weldon for her piece "Threshold Country," which the judges described as "a marvellously orchestrated, complex meditation on belonging. 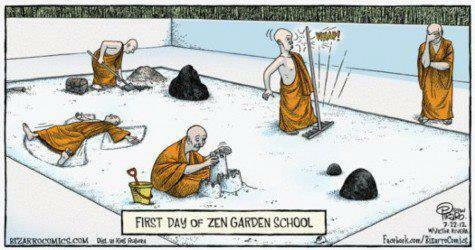 It is at once assured and yet gently voiced." Short listed writers included Will Mooney (Tasmania) for Cape Bernier; Stephen McAlpine (WA) for Living on the Edge; Tanya Massy (Victoria) for Pulse; and Nick Drayson (ACT) for My Place. 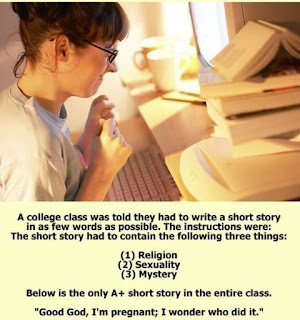 The deadline for submissions, which are capped at 5,000 words, is 16 November 2012. The winner will be announced next March in Melbourne. 2pm, 323 William St Northbridge. Read Perth Poetry Club blog for background on these magnificent guests. at Soul Tree Cafe, 5/3 Railway Parade Glen Forrest. $5 entry; or $25 for entry plus organic dinner & dessert. 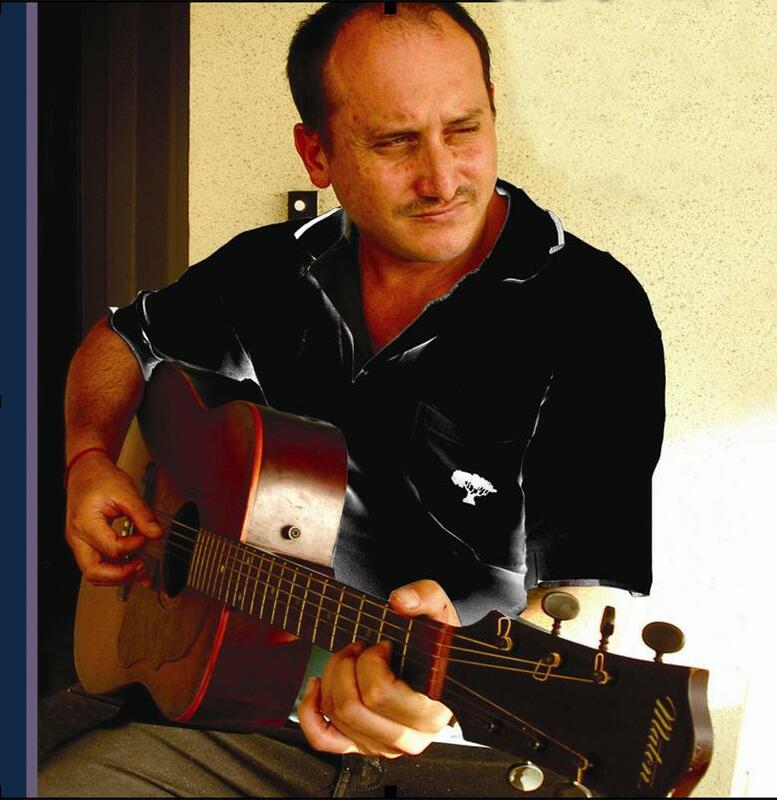 Don't miss the knees-up at Mattie's on Sunday arvo! It's out of the bag now: There is a farewell function for myself and my wife Jeanette at Mattie Furphy House, next to Allen Park, Swanbourne (right next door to Tom Collins House) at 3.30pm Sunday October 14th. In the best Ozzie tradition, please bring a plate and whatever yr poison is. We are moving to Corowa on 18th October, but shall be dropping into Perth on the odd occasion in the future. This function has been put together by WA Poets Inc and FAWWA, with all invited. Thank you to Peter Jeffery and Dennis Haskell especially. CREATEC, Fremantle Press, the International Centre for Landscape and Language, and the ECU Shop at Mount Lawley invite you to a ‘mega-launch’ of four environmentally focused books by ECU staff members. 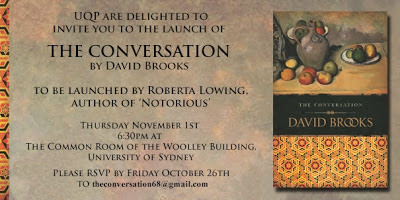 The book launch will take place at 6.30pm, Thursday 8 November 2012 at the ECU Shop. The launch will begin with Two with Nature: Ellen Hickman & John Ryan (Fremantle Press, 2012). 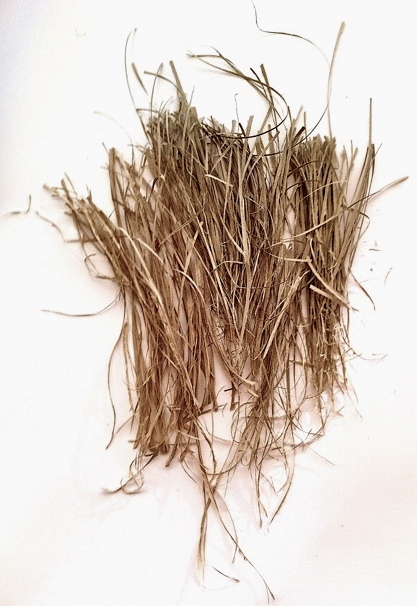 Fusing art and science, words and images, Two with Nature stimulates new ways of knowing the green world. Ellen Hickman is an illustrator and botanical scientist who captures the natural world in layers of fine detail and colour. John Ryan is a Postdoctoral Research Fellow in Communications and Arts at ECU and a writer whose botanical poetry explores what he calls the inherently mysterious nature of the plant world. Two with Nature will be launched by botanical artist Phillipa Nikulinsky and Emeritus Professor Andrew Taylor. Six Seasons (ICLL Press, 2012) by Professor Glen Phillips to be launched by Professor Dennis Haskell. The book’s title refers to the traditional six seasons in Nyungar culture and the 28 poems are arranged according to these seasons by its editor and translator (into Mandarin), Han Zhulin. This bilingual edition was completed with the help of Han’s translation class at Mudanjiang Normal University in North China and the book is a cooperative venture between that university and Edith Cowan University. The pen and ink sketches of Glen’s were selected by editor Han. Glen’s new and selected poems here include many from his PhD in Creative Writing: Land Whisperings and a Poetics of Birthplace and Newplace (2006). 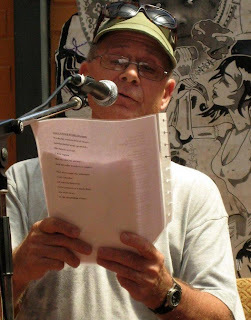 He has published some 15 collections of poetry and is well known in Australia and overseas. The Woman River (ICLL Press, 2012) by Professor Glen Phillips to be launched by Professor Dennis Haskell. As the subtitle of this book explains, it is a chapbook, being traditionally an interim publication, often prelude to a larger work. The Woman River is this kind of ‘work in progress’ for a more extensive bilingual book translated into Mandarin by Ms Du Hongbo. Du and Glen began work on this yet-to-be-completed book in 2011 but decided to publish the Chapbook for delegates to the 13th Chinese Conference on Australian Studies at Xihua University in Chengdu last July. Du Hongbo also designed the book to incorporate her photographs. She teaches at Sichuan University. Green Sense (TrueHeart Academic, 2012) by John Ryan is an interdisciplinary study of human sensory relationships to wild plants. The book develops the notion of ‘botanical aesthetics’ through a study of the South-West of Western Australia—a biodiversity 'hotspot' of international standing. 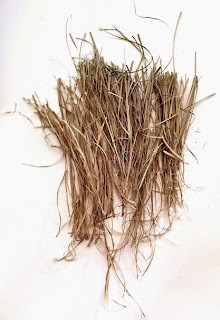 Green Sense describes the interplay between visual aesthetics, sensory entanglements and scientific knowledges towards greater cultural appreciation of South-West plants. The book will be launched by Professor Glenn Albrecht. But first, a growing family: Regime Magazine is thrilled to announce a new addition to the family. Acclaimed poet and writer Andrew Burke will be joining us as Contributing Editor. Andrew's stature as a major Australian poet is beyond question and at Regime Books we sit in awe of his work, always an inspiration to us. 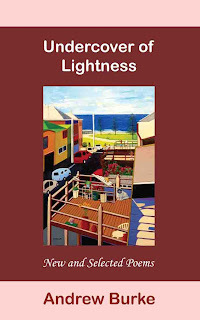 His volume of new and collected poetry, Undercover of Lightness, is out now from Walleah Press and his blog hi-spirits is a must for the poetically inclined. We're also looking forward to borrowing his jazz records with no intention of ever returning them! With thanks: We couldn't be happier with Regime 01. Not only did we release into the wild some blistering-hot new writing from all over the country (and beyond), we scored some excellent reviews and sold a few books to boot. Thank you to everyone who contributed their work, to all the merry pranksters who came to the launch, and to our fine friends of good taste who parted with their hard earned bread to get the sultry feel of Regime Magazine in their hot little hands. If you missed out, a few copies are still available from our website right here. "So if you got a trumpet...": Regime Magazine the Second is now open for business. We've already lined up some new work we're dying to print, along with a few surprises, but as ever we're looking for the best writing we can get our filthy hands on. We have a couple of options for submitting. Our preference is for electronic submissions, so please visit our submissions machine here: regime.submittable.com. Also, you can mail submissions to the office. We're going to bust a gut to get Regime 02 out by Christmas, so a word of warning: deadlines will be tight. We won't be accepting submissions after 26 October 2012. Time to get cracking! "So if you got a trumpet, get on your feet, brother, and blow it..."
Cash for comment: You'll see that we have opened a new category on the submissions machine. We were disappointed that we couldn't always offer a proper critique of submissions for Regime 01, so we are offering an in-depth page of our thoughts on your work for $20 (even if it is accepted for publication). Of course, we will still accept submissions without charge, but we won't be able to offer the feedback you might expect. Don't forget Man and Beast: Also online is the book of short stories by Nathan Hondros & Damon Lockwood, called Man and Beast. If you're dying to find out who's the man and who's the beast, you'll have to pick up a copy: Order Man and Beast. Ever wonder how an idea becomes a story and a story becomes a book? Hear from the authors and creators whose books were awarded the 2012 Prime Minister’s Literary Awards! Listen to the ABC’s First Tuesday Book Club interviews with some of the winning authors for insights on how their books came together, the personal significance of the awards, what winning means to them and how it will benefit their work. If you have read the winning books or other works by these authors why not share your thoughts on Facebook? How to separate the yolk from the white: simple! Ignore the language and just watch the demonstration. Watch the simple and effective method of separating an egg yolk from the white. It is a simple and straight forward application of hydraulics. SOUTHERLY On Sale now - Keep up with Oz Lit! After much anticipation, Southerly is finally able, and delighted to, invite you to the launch for its latest issue, 72.1: Mid-century women writers. 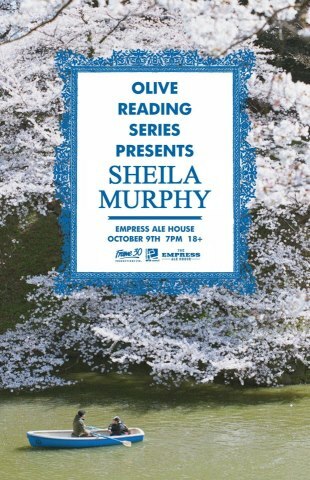 There will be fabulous readings, delicious nibbles, and bohemian bonfemie. Please join us! 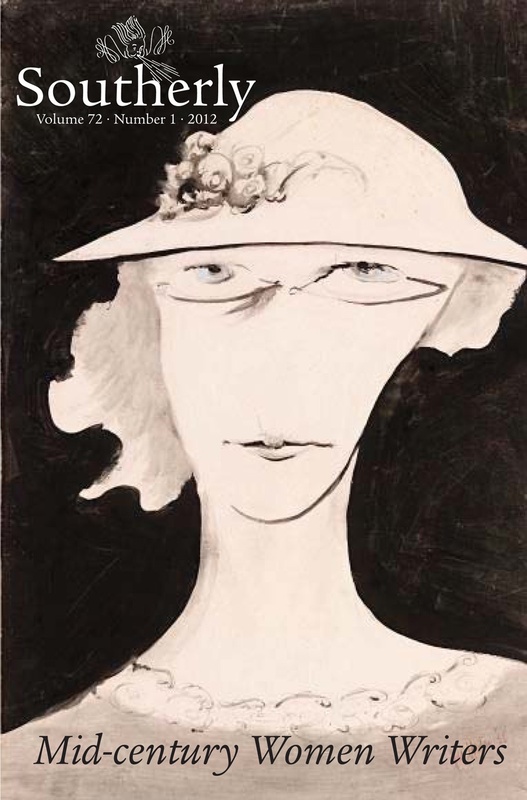 Mid-century women writers re-considers Australian women writing after the cataclysm of World War II, from within post-war culture; women demonstrating the agency of writing fiction before the formal politicisation of feminism. This issue assembles essays on numerous of these writers, presented in their shared historical context and through the rubrics and perspectives of the present. The issue includes essays on Eleanor Dark, Eve Langley, Jessica Anderson, Christina Stead, Dorothy Hewett, Thea Astley and Elizabeth Harrower. 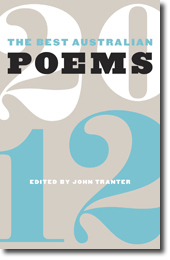 Some of the essays deal with the late works of established writers, such as Helen O’Reilly’s discussion of Eleanor Dark’s last published work, Lantana Lane and Elizabeth Treep’s analysis of Eve Langley’s unpublished novel Bancroft House, while Karen Lamb’s essay on Thea Astley provides a keen appreciation of a new woman writer dealing with the criticism of her peers. The essays range from readings of individual works to broader assessments of writer’s oeuvre, and from historical fiction to novels depicting the radical changes in Australian life from the 1960’s. There are also two review-essays on new studies of Elizabeth Jolley and Shirley Hazzard. This line-up constitutes a very significant volume on a group of writers often overlooked in the various categorisations of Australian literature. The issue also contains a wealth of new creative work in fiction and poetry from prestigious authors and poets alongside emerging writers, and a fascinating account of a large-scale performance art event in western Sydney. And I said to Paddy, Where's the best place to prospect? clicked the camera on our tourist walk about town. While in Kalgoorlie, I took photos of water systems and giant 'super pits', people and plants - out of them all, this is my favourite: Strelitzia in the yard of 'the Dockers house' in the suburban Kal.